The racist, neofascist Ku Klux Klan hit the headlines on Nov. 5 when a group alleging to be Anonymous hacker-activists released a list of KKK members, naming prominent U.S. politicians, including four U.S. senators and five big-city mayors. 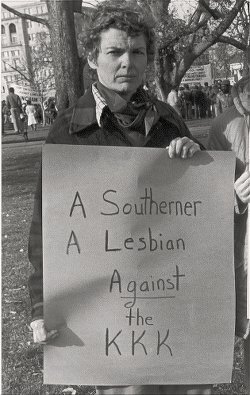 Minnie Bruce Pratt anti-Klan demonstration, Washington, DC, 1982. 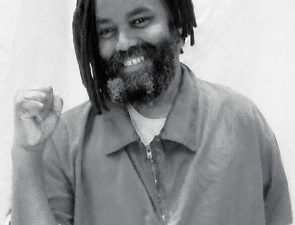 The list was quickly called “dubious” by big business media, and some named politicians have voted in ways at odds with Klan goals. 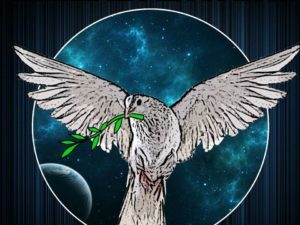 The shaky factual basis of the list raised the possibility the release was a cyber-disinformation move by right-wing forces to discredit an Anonymous-sponsored Operation KKK campaign. That culminated Nov. 6 with the “Million Mask March,” a 600-city global day of action protesting censorship, corruption, war and poverty. The current CCC is on the Southern Poverty Law Center list of white-supremacist hate groups. Dylann Roof, who murdered the Charleston Nine in a racist massacre in June, cited CCC website content as one source for his murderous action. 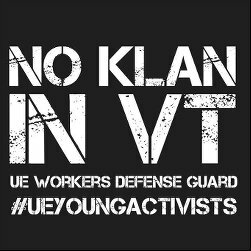 Call for Workers Defense Guards against the Klan by UE Local 203, Burlington, VT. These names are but the smallest indication of current and historical ties between U.S. government and right-wing hate organizations. 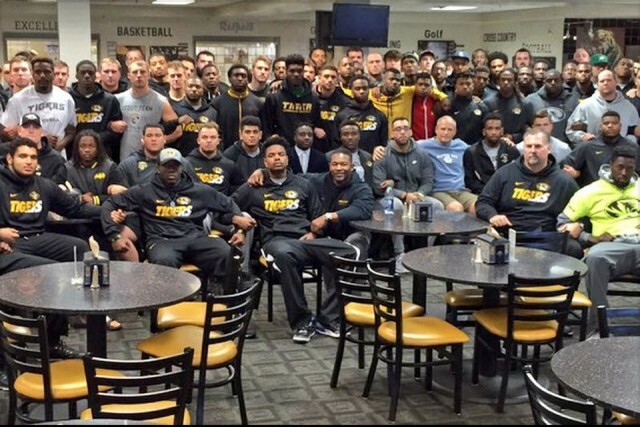 The unified University of Missouri football team on strike against racism, Nov. 6, 2015. The link between U.S. politicians and white supremacy continues. The racist, anti-immigrant and anti-woman ravings of Donald Trump would have earned him a place as “Grand Cyclops” in the 1920s’ KKK. 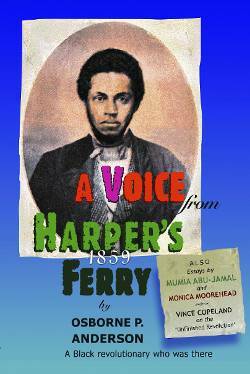 Why the enduring links between U.S. politicians and white supremacy? Speaking at the end of the historic 1965 Selma-to-Montgomery march for voting rights, the Rev. Dr. Martin Luther King Jr. explained the roots of the mass mobilization of racism after the Civil War. 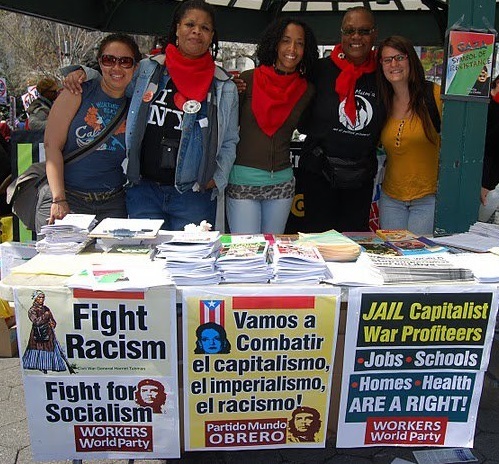 These analyses make clear: The only answer to white supremacy, in the KKK or in government, is anti-racist solidarity of white workers with all oppressed workers of color.